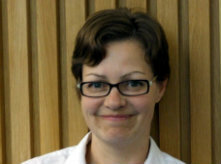 The week the spotlight is on Lara Speicher, Publishing Manager, UCL Press, UCL Library Services. As Publishing Manager of the newly re-established UCL Press, my role is to set up and manage UCL Press, which launches in a few weeks' time. It has been started completely from scratch so everything involved in running a publishing operation needs to be put in place. Finding new authors to publish with the Press is the obvious starting point but, in addition, I need to get all other aspects of the Press up and running, including recruiting new staff, commissioning a website, writing business plans, sourcing suppliers and, not least, getting to know UCL! It's extremely challenging but also very exciting and I've been deeply impressed by the generosity, enthusiasm and support of both staff and students who have given me their time and contributed their knowledge and ideas. We will be an Open Access publisher from the outset, which is a bold move and demonstrates UCL's commitment to making research outputs by both its own academics and external authors available to as wide an audience as possible. We've had lots of great proposals so far and look forward to receiving many more. We will be publishing a wide range of books and journals: scholarly monographs, textbooks, edited collections, books about UCL's museums and collections, academic journals and hosted journals for students, in both digital and print forms. We are open to receiving publishing proposals in all subject areas, although the majority of proposals we have received so far have been in the arts and humanities. Because we are based right here at UCL, we are easily able to meet and chat informally about any publishing ideas academics have. I joined UCL in November 2013. Before that I was Commissioning Editor at British Library Publishing. We were delighted to be selected as one of four HEIs awarded a grant by JISC to pilot a new initiative, 'The Institution as E-textbook Publisher'. This project is helping us to start up our e-textbook publishing programme, and we will be able to learn from the other publishers and HEIs involved. We will publish the first two textbooks in 2016, and several others are underway. In my previous role, I was lucky to publish some forgotten and unknown works by literary figures such as Arthur Conan Doyle and Keith Waterhouse. Discovering, with the help of the British Library's curators and the Arthur Conan Doyle estate, that there were works in the British Library archives and private collections that had never seen the light of day was a real thrill, and the publication in facsimile of Conan Doyle's diary from six months spent on board an Arctic whaling ship before he became famous was a tremendous privilege. It attracted much public attention and was reprinted several times. At the top of my to-do list is our official launch at the beginning of June. We are publishing three books in print and digital form so we are hard at work preparing our new website, and the books themselves. Although it feels like a milestone to be launching the Press, I also know that this is just the start. We already have a very full publishing programme for 2016 so there won't be time to stop and relax! "It's no good running a pig farm badly for 30 years while saying, 'Really, I was meant to be a ballet dancer.' By then, pigs will be your style." - Quentin Crisp. Woody Allen, Brian Sewell, Quentin Crisp, Sigmund Freud, Francis Bacon, Anthony Bourdain and Groucho Marx. See every obstacle as an opportunity. I wish I had something fantastic to confess but I'm afraid I have no dark secrets or eccentric hobbies! Southwold in Suffolk. It is so picturesque and varied in its landscapes, from the cold, grey North Sea stretching out to the horizon, to the beautiful sand dunes, and then the flat marshes where you can glimpse the tops of boats slowly making their way up the River Blythe. Even in the height of summer the beach is almost deserted in the evenings and at the end of an idyllic evening walk on the beach you know there'll be a lovely Adnams or Aspalls waiting for you in one of the charming pubs.